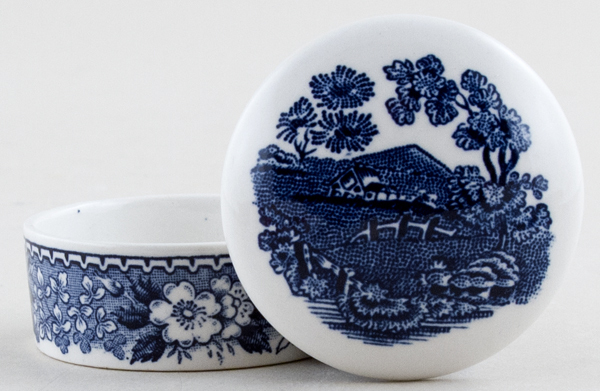 Small round box with pretty floral border and rural scene to the cover. Backstamp: Adams Made in England Real English Ironstone Established 1657. Excellent condition.